We are proud to be actively involved with the ‘Children with Special Needs Foundation’. 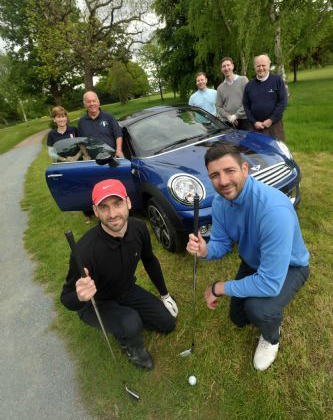 The charity provides help to special children and their families, schools and clubs in Surrey, Berkshire and Hampshire. The focal aim of the charity is to provide help to local children by avoiding the red tape of larger organisations and offering a quick and positive response to their needs. The CWSNF tries to “Put a smile on tomorrow, today” and has raised over £3 million to date, of which the TOTAL sum has been used to provide much needed help to these children and their families. The Aspen Homes team are proud to have assisted the charity in fundraising by participating in events including The London Marathon, The Great North Run, classic golf days and even a hair-raising parachute jump from 15,000 feet. We are pleased to support Woking Hospice with which we have a personal connection. After the devastating loss of our colleague and family member John, the Aspen Homes team were determined to give something back to the Woking Hospice who took such great care of John in his final weeks. 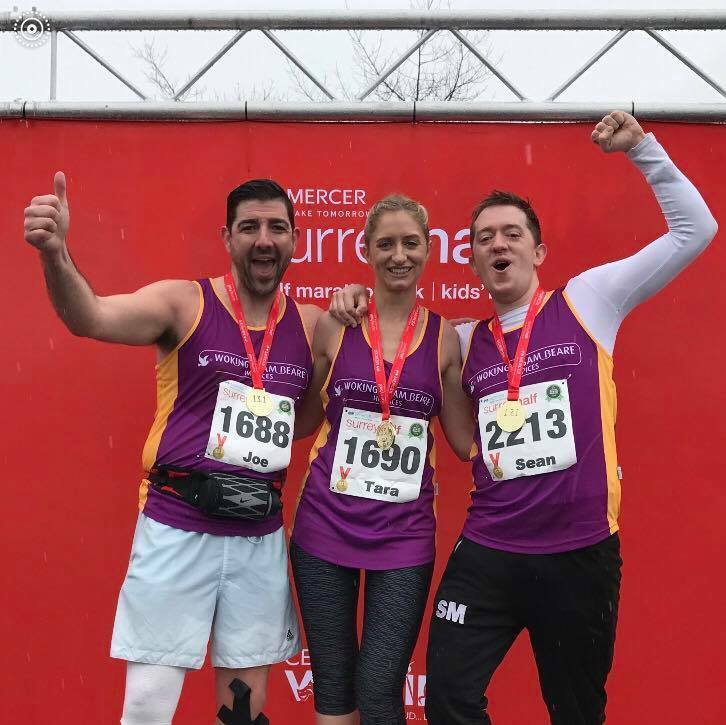 The team took part in the Surrey Half Marathon, finishing in just over two hours but most importantly raising over £7,000 for the Woking Hospice to help them towards providing the same level of care for future patients. We are always eager to give something back to the communities in which we are operating, so we are delighted to be able to contribute towards the creation of a new village sign in Oxshott. In early 2018 we were approached by the Oxshott Village Sign team asking if we would be able to use our expertise to create a computer generated image that could be used to illustrate to local residents what a sign might look like. With a competition running in which the winning design will become the new village sign, it was hoped that the CGI would encourage more local residents to get involved in the design process. Working alongside the designers at Antler Group, the CGI opposite was created for the use of the Oxshott Village Sign campaign. 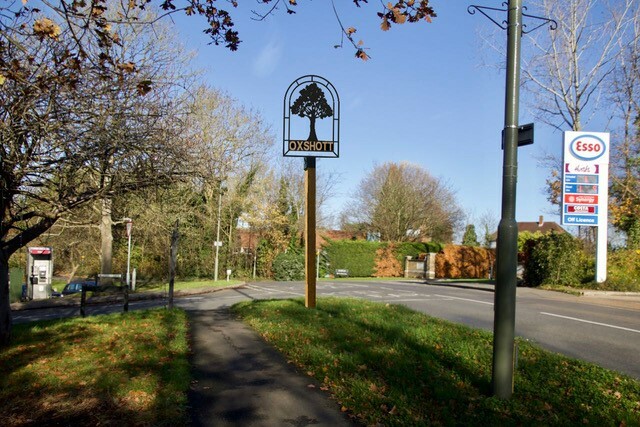 “We’re greatly indebted to Aspen Homes for sponsoring the creation of a computer-generated image of what an Oxshott Village Sign might look like in one of the locations where it might be situated. Aspen Homes are currently developing two luxury 5-bedroom homes on the Danes Hills Farmhouse site on the Leatherhead Road in Oxshott. Thanks very much to Joe Jelley, Aspen’s Managing Director and to their Development & Marketing Manager, Sean Moore.” – Testimonial from the Oxshott Village Sign team. To date there have been nearly 100 designs submitted. We look forward to seeing the finished article which will be a fitting landmark for the village!